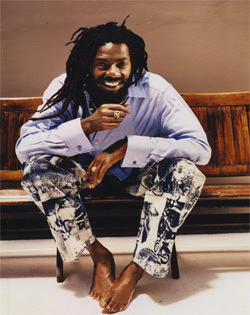 In an exclusive interview with the New York Times, Terri Wright, a juror on Buju Banton’s federal drug and gun trial, says she researched certain aspects of the case to have a better grasp of them when deliberation came around. “I would get in the car, just write my notes down so I could remember, and I would come home and do the research,” she says. The recent revelations have forced a federal judge in Florida to postpone a re-sentencing hearing for the Jamaican reggae singer to investigate the report of juror misconduct. Banton is serving a 10-year prison sentence on two drug charges. The Grammy winner faces an additional five years on a related gun possession charge. Banton’s attorneys are asking U.S. District Judge James Moody to grant a new trial. They argued on Tuesday that the juror’s research may have affected the jury’s deliberations.